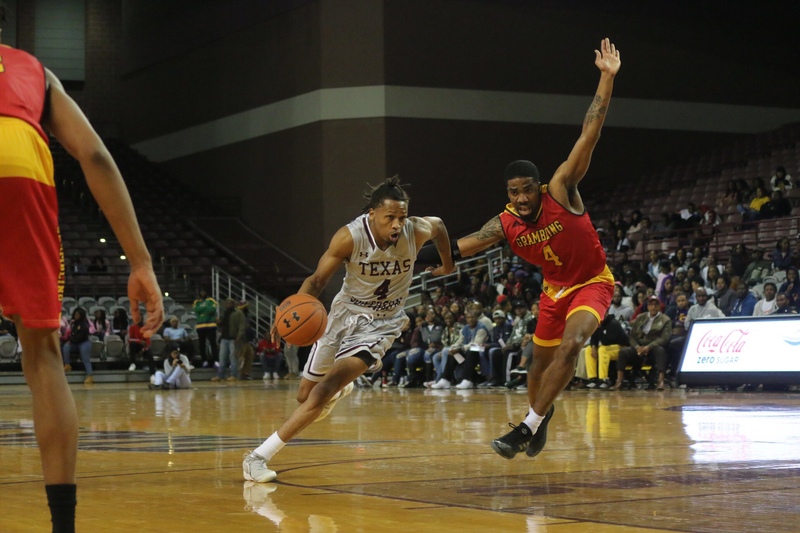 Texas Southern dropped a SWAC game for the second time in a week on Saturday while its closest rival stayed perfect. SWAC hoops has gotten off to a crazy start. Texas Southern was defeated for the first time in conference play by Prairie View last week. Prairie View A&M, Alabama State, and Arkansas Pine-Bluff are looking strong in the process, and then there is Grambling. Saturday’s action in the conference made things more interesting and just proved how things can be in the Wild Wild (South) West. Prairie View A&M is now on top of the SWAC after a 55-51 win over Jackson State. The Panthers were down by eight at halftime and finally held on to the lead with a little over two minutes left in the contest. Sitting in second right behind PVAMU is Alabama State. Alabama State handed Alabama A&M with ease. In a conference where most games have been close so far, this game was not. What was close was the overtime wins secured by Grambling State and Southern. A floater by Ivy Smith Jr with 2.6 seconds left pushed Grambling over Texas Southern 88-87 in overtime. Once again, a SWAC team proves that they are not going to bow down to the Tigers. And for Southern, it knocked off a hot Arkansas Pine-Bluff squad, giving it the first SWAC loss of the season. Alcorn State snuck past Mississippi Valley State by six points. It’s the Braves first win in conference play this season. Reginald Gee (Alabama State): 19 points, 7 rebounds, and 2 assists.